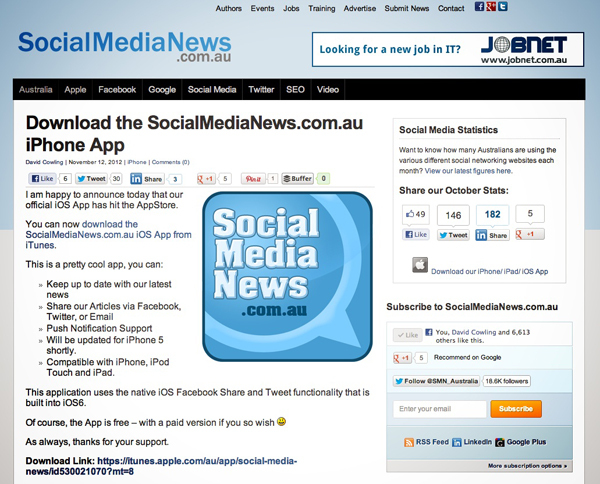 Social Media News has been bringing us local Australian content since May 2010 and today, David Cowling and his team from Social Media News Australia announced their brand new shiny IOS app – ready to download via iTunes. Not only are you getting awesome Australian Social Media Content, you get to keep up to date with all their latest news, you can share all stories via Facebook, Twitter or email them to a friend / colleague, get push notifications so your aware of all new content as it happens and it is compatible on all IOS devices like iPhone, iPad and iPod Touch (IOS 5 or later). 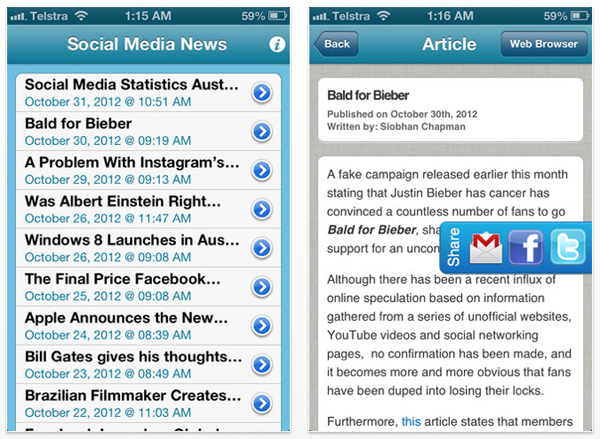 Soon, the Social Media News app will be getting the iPhone 5 update – more to come on that! Now just to make this even sweeter, the new app from Social Media News is also free, so there is no excuse not to download it and keep up to date with all things happening in the social media world!